Was this season a disappointment? Encouraging? An overachievement? A sign of progress? What’s your 2019 year in review when it comes to dissecting the Habs season? Personally, I’m not the type of fan who ever thinks there’s been a successful season when the team misses the playoffs. With that being said, this is likely the first season where while I’m not satisfied, I can safely say that the team as a whole played quite well throughout most of the season. Near the end, it was Carey who was shining. However at the beginning of the year, we had a team who actually won games for our goalie. Something I cannot remember from years past. Some negatives included the power play, as well as the reality that we never seemed to be that team who could come back in the late stages of a game. Perhaps these two things are intertwined. We were a better counter attack team who played quickly off the rush, as opposed to a team who could flourish at a relative stand still while set up in the offensive zone with an extra man. The team got 96 points and I remember 100 points being a decent barrier. Call that a naive statement with points inflation and such but the point (no pun intended) still remains that 96 points is the most a team has ever achieved while missing the playoffs at the same time. In an irrational way, while a first round exit is still enough for teams to get butchered by their fan base, one has to feel sorry for this team who almost deserved to have a chance. There are tankers who enjoy 65 point seasons, but I prefer a year like this in terms of assessing the team in a positive way. Here are some random off the head thoughts about this season and you guys can feel free to list any of your own thoughts. So was the season an overall disappointment or encouraging? While missing the playoffs was certainly disappointing, having watched every game, the team played well in general and so while I’m mad at them, I don’t hate them. 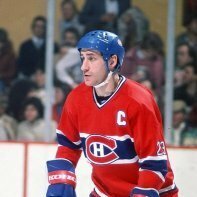 Take a ways -- for the first time since we won the cup in '93 the Habs in the next 3 years will be strong at center. We need to address the Need for a QB on the power play and I think we can make some noise in the playoffs next year if we address that need. Skinner would likely cost almost $10M for a long-term contract. Would he really be worth that much to us? Someone will over pay for skinner, they always do. This. And we would likely need to pay more in order to pry him out of Buffalo (am I really writing this?). And his 5-on-5 scoring is not much more than Gallagher. I didn't look at the advanced stats, though. Players get 50% of revenue. Thats why we had lockouts. If salaries are rising its because revenues are rising. And if revenues are rising it's because ticket prices are rising and the cost of televised games is rising. Yup but that is supply and demand in the market place. People assume the cause of rising prices is the salaries... but its the opposite. Its the ticket prices that set the salaries. And if the tickets get too expensive and don't sell then salaries would go down. As long as the revenues are coming in the cap will keep increasing and players will get paid more. Yes, I agree with the causality. There are enough people that are willing to pay $100+ for a ticket that the teams will happily charge that.